Car companies are always trying to develop the best ways to save on fuel. Well, Ethan Tucker and Pat Boone of Zero Pollution Motors, the U.S. licensee for Motor Development International, might have the next big thing … the AIRPod. 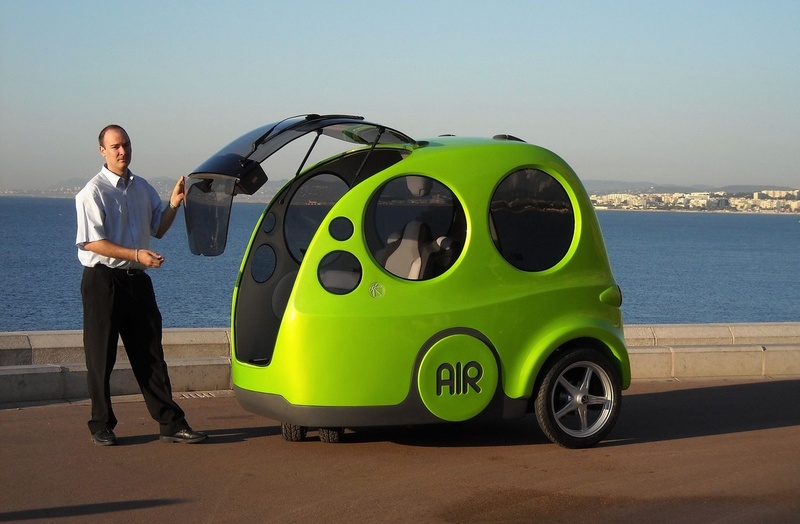 Tucker and Boone took their idea to the investors of ABC’s “Shark Tank” TV show and were backed for a $5 million investment by Robert Herjavec, but only if ZPM is able to get the rights to manufacture and sell the air-powered car throughout the United States. The plan is to make the vehicles in “turnkey micro-production factories” and then sell them for $10,000 a pop in those same areas. With the car weighing in at just over 600 pounds, top speed reaching about 50 mph and an 80-mile range, the AIRPod would seem to make for the perfect city car. Hawaii was rumored as the location of the first factory. The AIRPod, invented by ex-Formula One engineer Guy NÃ¨gre, runs on cold air compressed in tanks to 300 times atmospheric pressure. The air is then heated and fed into the cylinders of a piston engine. AIRPod says the car can be refilled from a compressed-air station in about three minutes for less than $3. Zero Pollution Motors says it would like to start selling AIRPods in the United States this year.